Fall in love with these love knot design earrings from Apples of Gold Jewelry! 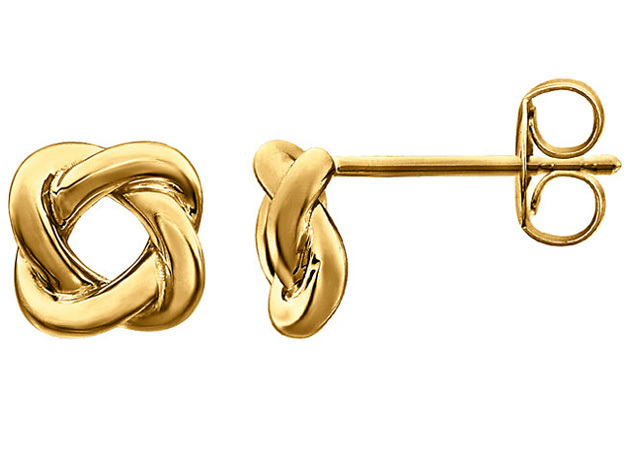 Perfect to give as a gift, each earring features a beautiful love knot design, crafted lovingly in 14K yellow gold. The love knot design on each earring measures 7mm x 7mm, or just a little bit over 1/4 of an inch. The earrings feature a friction push back closure on each that allow the earrings to easily be closed and stay securely in place while being worn. We guarantee our Design Love-Knot Earrings, 14K Yellow Gold to be high quality, authentic jewelry, as described above.